To start, let's talk sun protection. Specifically facial sun protection, because these fine lines are getting any finer, and we want to ensure that sun spots are kept at bay. So it's important that we are applying a sunscreen to our face, and a non-chemical SPF is safest. 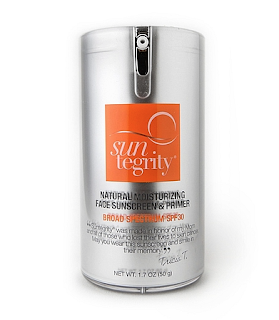 Suntegrity Natural Facial Sunscreen and Primer melts into the skin, and doesn't leave you looking like a ghost. It's the perfect primer for before applying a BB cream or foundation and will keep your skin safe from the elements. It boasts a SPF of 30, and acts as a moisturizer, SPF, and primer all in one. 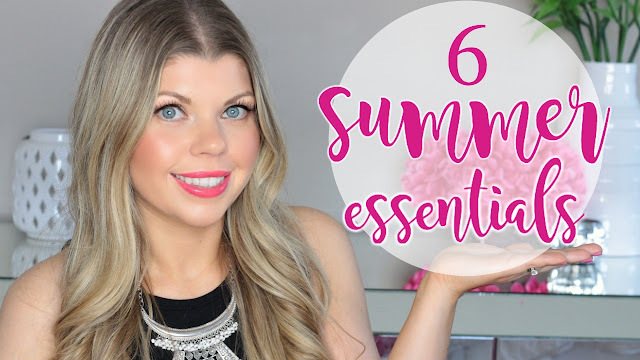 Multi-use products are the best, especially in Summertime, when we want to simplify our routine. Think of this sunscreen as superfood for the skin, the amazing ingredients contained are known to treat rosacea, acne, and other skin concerns. Summer essentials wouldn't be complete without a safe, healthy tan. 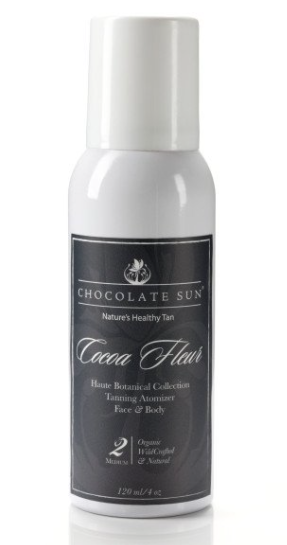 Skip the tanning beds that emit harmful UV rays, and choose an all natural self tanner that will give you that beautiful glow. The Chocolate Sun Cocoa Fleur Self Tanner is a professional grade spray tan, that comes in three shades ranging from light to dark. If you prefer a dark tan, and have fair skin I would however go with the darkest tanner. 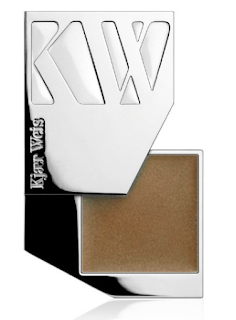 It goes on beautifully, and gives an immediate glow to the skin. I like to apply post shower, right before bed. Then when I wake in the morning I have a beautiful tan, beach ready! See a before and after here. If you have been watching my videos on YouTube, it's no shocker to you that having a bright coloured Treat Collection nail polish is a must! I have mentioned them in several of my favourites videos, simply because this is the BEST, 5 free nail polish have ever used. It's healthier than the regular conventional polish, and when using the base coat and fast drying top coat, it lasts me a full 5 days. That's pretty impressive, and there is a colour for everyone. On my wish list is Fabulous a beautiful vibrant fuchsia, and Summertime a bright orangey shade. 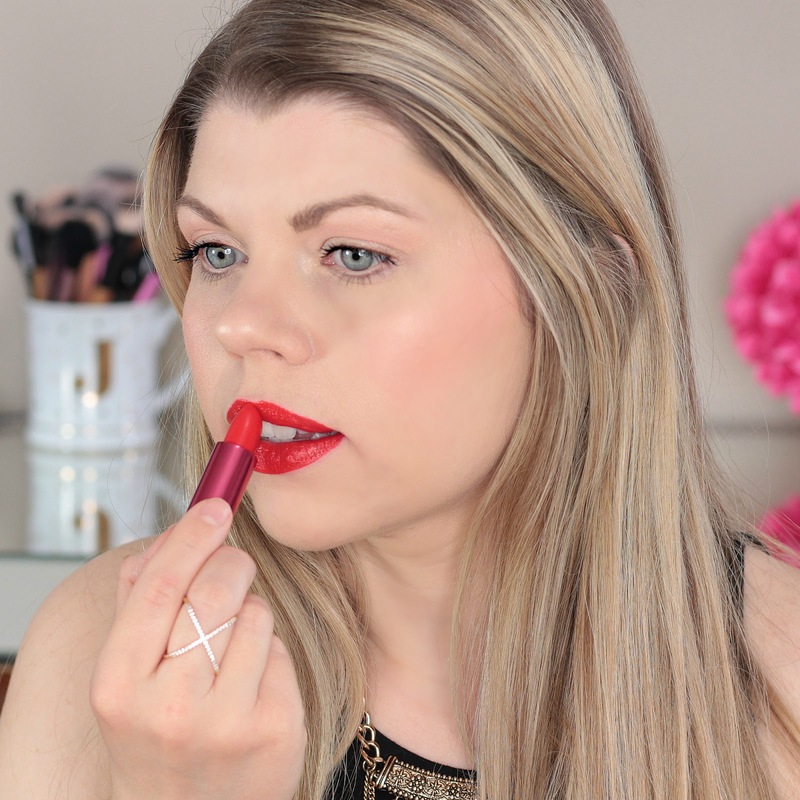 I can't wait to add these to my EcoDiva Beauty cart! Every gal needs a water resistant mascara! This is my go to for swimming, going to the beach, weddings, etc. Basically anywhere that either tears or water is involved. It gives great definition and length to the lashes. It's formulated with coconut, kelp, and vitamin D, so it's basically superfood for your lashes. A total must have for Summertime!